The Colorado Health Observation Regional Data Service (CHORDS) is a seven-county regional network in the Denver metro area that uses electronic health record data to support public health evaluation and monitoring efforts. What’s the trend in tobacco use in Denver’s Capitol Hill neighborhood? What are childhood asthma rates like in Arvada? How about depression in Highlands Ranch? Accurate answers to these questions can help target public health interventions, but this type of data has been hard to come by. It’s called the Colorado Health Observation Regional Data Service (CHORDS). It’s a seven-county regional network in the Denver metro area that uses electronic health record data to support public health evaluation, monitoring and research. CHORDS, which was launched in 2011, provides timely, location-based information on population health measures. What Data Can CHORDS Provide? Other CHORDS network partners include University of Colorado Denver Adult and Child Consortium for Outcomes Research and Delivery Science (ACCORDS), Colorado Community Managed Care Network (CCMCN) and CORHIO, Colorado’s largest health information exchange network. 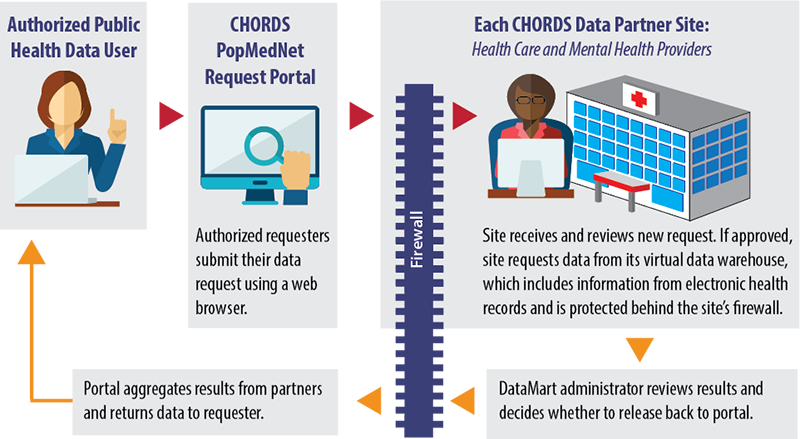 Since 2016, the Colorado Health Foundation has provided grant support to the Colorado Health Institute (CHI) to expand the number of public health agencies using CHORDS to include the entire Denver metropolitan area and recruit additional health care and mental health providers to contribute data. The CHORDS network’s efforts have been recognized by various media outlets, such as the Denver Post, Healthcare Informatics and MeriTalk. Click here to see a listing of presentations and publications featuring CHORDS data. How Can I Access Data through CHORDS? 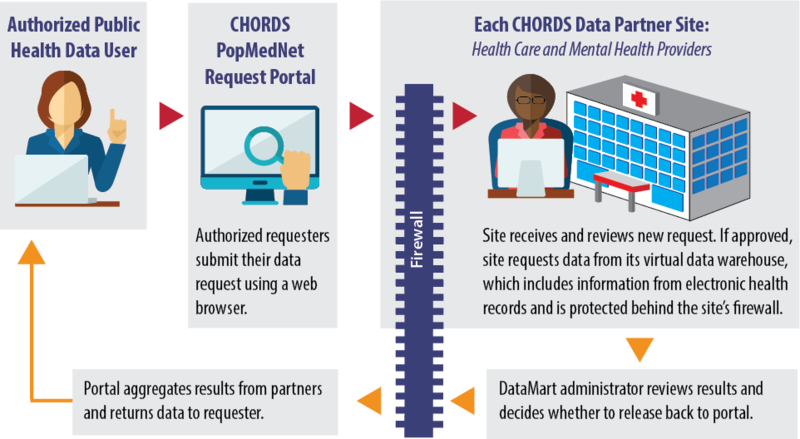 Local public health department representatives in the Denver metropolitan area have access to data through CHORDS. Please contact the CHORDS public health project manager, Greg Budney (Gregory.Budney@dhha.org), to learn how data available through CHORDS can support community activities. Researchers may contact the CHORDS research project manager, Rachel Zucker (Rachel.Zucker@ucdenver.edu), to discuss whether CHORDS can support specific research questions. Click here to learn how new CHORDS data requests are developed. Kate Horle of COHRIO and Sara Schmitt of CHI presented to the Denver Health IT Summit in July 2018. Ken Scott of Denver Public Health assessed the county-level representativeness of CHORDS data. Alyson Shupe, Tri-County Health Department, presented to the National Association of City and County Health Officials in July 2018. Rachel Zucker, Adult and Child Consortium for Health Outcomes Research and Delivery Science, presented to the Public Health Informatics Conference in AUgust 2018.